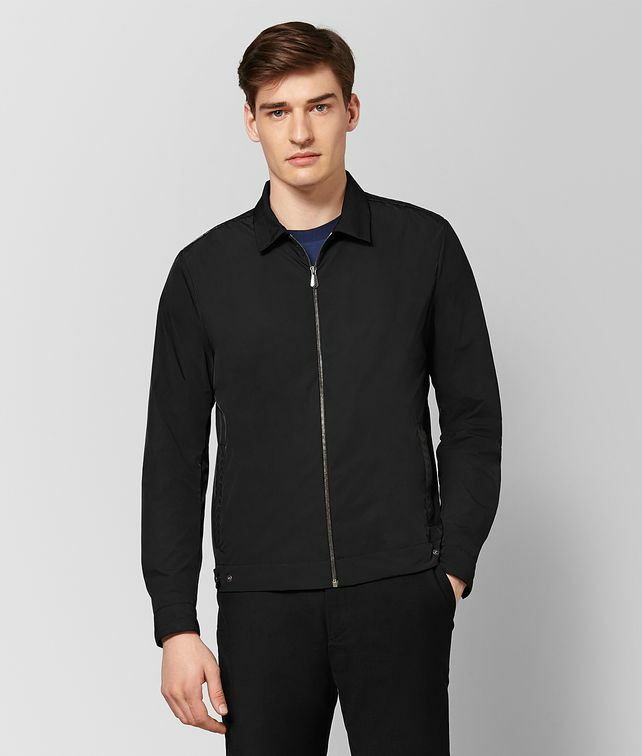 This classic collared jacket is designed with a cropped silhouette in water-resistant fabric. It features washed-nappa leather details at the shoulders and pockets hand-woven in the house’s iconic intrecciato. Finished with a zip fastening in signature brunito.